I’m sorry I’ve been a bit MIA this past week. As you could see from my July schedule, I spent my Independence Day traveling to Seneca, Kansas. 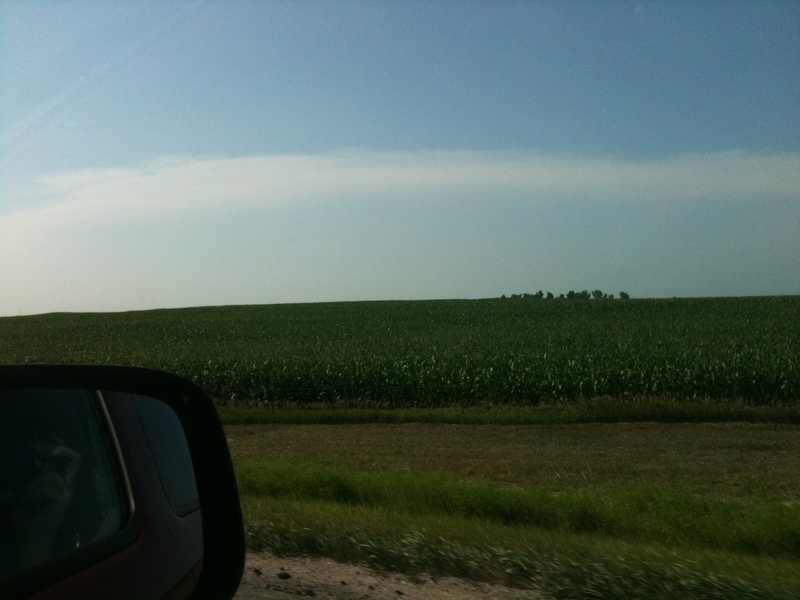 I had never been to Kansas before and I assumed it would be lots of fields and rolling plains and corn. But you know what they have in Kansas that they don’t have in Massachusetts (besides corn pickers, weird watering devices and horrifying highways where the only way you can pass is by driving in the opposite lane…) ? Yes, my friends, frozen yogurt at it’s finest. The fro-yo phenomenon is just barely reaching Boston, which is unfortunate. While Pinkberry is pretty awesome, there are other chains that allow you to pour your own fro-yo into a cup (and there are a ton more flavors), load on whatever toppings you want and pay for it by the ounce. It’s spectacular. 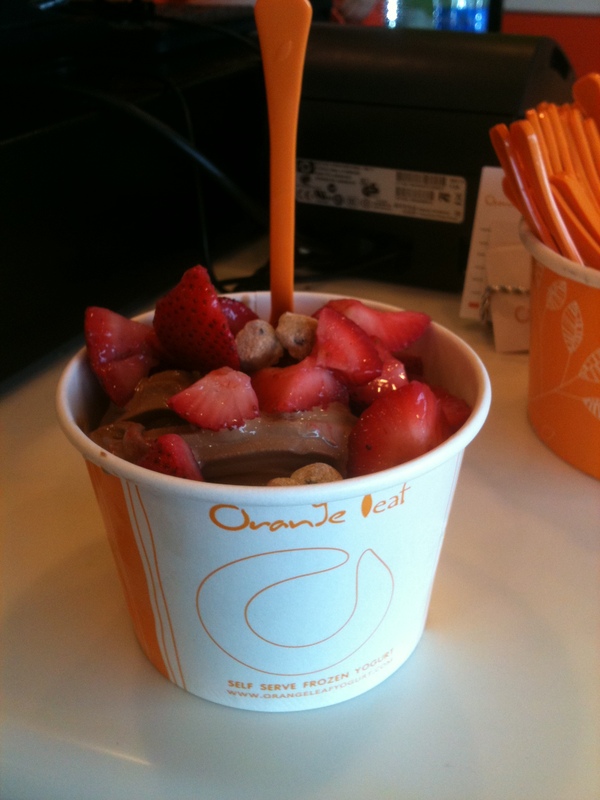 Such chains popping up around the country include 16 Handles, Red Mango and of course, Orange Leaf. So after my fellow NDA staffer and Idaho native, Kira, and I drove an hour from Seneca to Manhattan (also known as “The Little Apple”), found Orange Leaf and indulged in the frozen treat. Oh yeah – did I mention it was 100 degrees the entire time we were there and the high school gym we were dancing in wasn’t air-conditioned? So, yeah, frozen yogurt was a must at that point. I settled for a low-fat swirl of brownie batter and chocolate chip cookie flavors topped with a ton of fresh strawberries and a few cookie dough bits. I was in heaven. C'mon Boston.. work with me here. Kira and I also got to try out a cute little restaurant close to our motel on the last night of our stay. 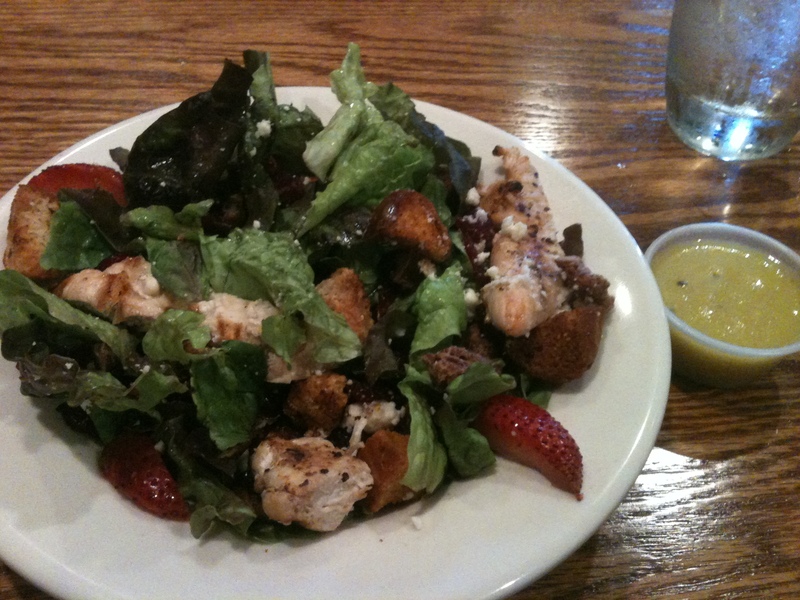 I had the Champagne Chicken Salad which included mixed greens, grilled chicken, strawberries, dates and spiced pecans with a champagne vinagrette that I got on the side. It was delicious and definitely filled me up. If you ever visit Seneca, Kansas, I highly recommend “The Willows”. 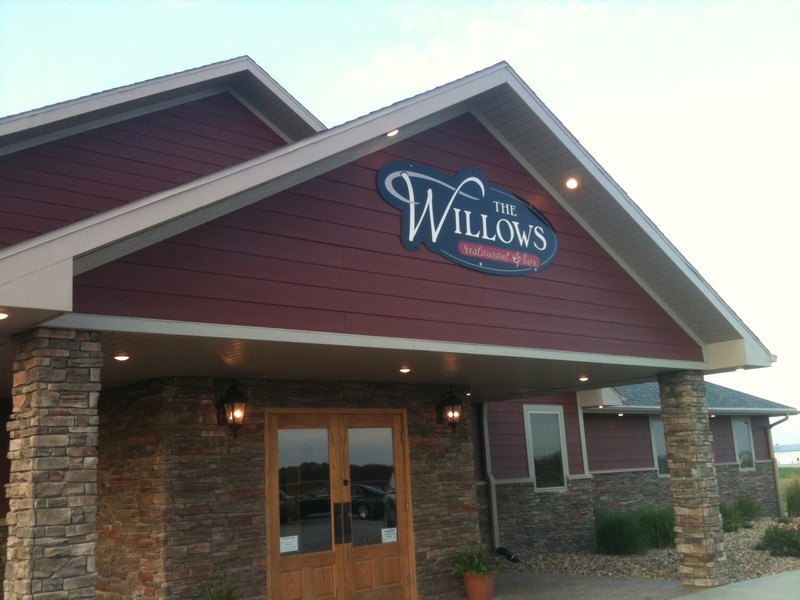 The Willows in Seneca, KS. Go here. The camp itself was great and the perfect way to kick off my NDA summer. The team was fun, enthusiastic and they picked up the 5 routines we gave them really well. I was even a little sad to leave after spending three days with them. Coming home wasn’t as fun. It involved a 3-hour detoured car ride back to the airport, a long delayed layover in Chicago and a 3am bed time, but eventually I got home, hit my bed hard and slept for the majority of the next day. Although I didn’t get much have any service while in Kansas, I believe I will have more connection in Maryland. Hopefully I can update the blog as I go but there is a good chance I will be so entralled with Level 3 Kick, I might not have much time on my hands. What’s going on in your life this week? Any big plans? Do you travel a lot during the summer or do you prefer to relax at home? you drove an hour for froyo????????????? this is why we’re BFFs. I would drive 4 hours for froyo like 16 handles. I’m thinking of opening one here and forgetting about my graduate degree. Thoughts? Thanks so much for the nice comments about The Willows. Glad it was one bright spot during your stay in Kansas. I totally agree with you about Orange Leaf, in fact was just there today.